Now that the warm glow of the worldwide success of L.A. Noire has begun to ebb, the backlash to the development of the game has begun. The process of developing a video game is a grueling one, as anyone that has worked in the industry can tell you. Standard 40-hour work weeks quickly turn into 60-hour weeks, weekends are sacrificed, and the crunch time leading up to a release can lead to unimaginable amounts of stress. At the best of times, these conditions can be considered harsh, but reports out of Australia are claiming that the working conditions at Team Bondi go beyond that, and border on dangerous. The management of Bondi is also said to have grated on Rockstar to the point that it will not publish Bondi’s next game. 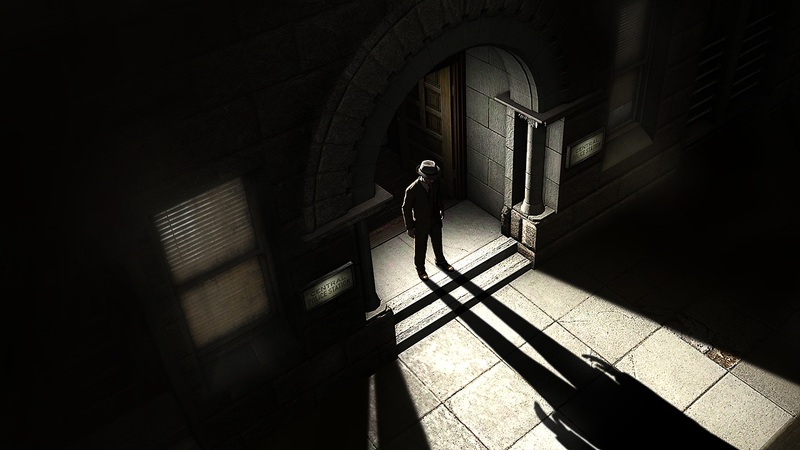 Rumors of excessively difficult working conditions at Team Bondi have been floating around for a while thanks to an anonymous Twitter source that appeared a few years back, but a recent article on IGN explaining why L.A. Noire took seven years to develop has raised more questions, and put the developer on the hot seat. In the article, 11 former Team Bondi employees spoke on the condition of anonymity, and outlining working practices a and corporate mindset which sound to be at the very least unethical, if not downright illegal. As a result, according to DigitalSpy, the International Game Developers Association (IGDA) have begun an investigation into the developer. “Certainly reports of 12-hour a day, lengthy crunch time, if true, are absolutely unacceptable and harmful to the individuals involved, the final product, and the industry as a whole,” IGDA chairman, Brian Robbins, said. One common complaint against the management of Team Bondi was that it hired young and inexperienced staff, then worked them well beyond what anyone expected until most quit, and more staff were hired. In the seven years of development, well over 100 employees either quit or were fired, and the high attrition was an accepted part of life at the developer. McNamara has replied that the turnover is to be expected, and that the working conditions were no worse than anywhere in the gaming industry. One of the complaints that repeatedly came up was that McNamara would often attempt to change small details, and would go to the programmer directly, rather than the lead in charge. The results often led to confusion. McNamara asserts that as the writer and director, plus his position as studio founder, that he retains the right to do that, and maybe he does. But the lack of a firm organizational structure, along with several other things, led to the game being repeatedly delayed, and the budget was blown past on several occasions — so much so that the original publisher, Sony Computer Entertainment Association, dropped the game. In the spring of 2006, Rockstar took over the publishing rights. Things seemed to be going well, and the relationship between Rockstar and Bondi grew to the point that Rockstar considered incorporating Team Bondi under the Rockstar brand, but that soon changed. “Rockstar used to be very keen on making Team Bondi something like ‘Rockstar Sydney’ – the more they worked with Team Bondi management, the more they came to understand that this was a terrible idea,” one source said. As far back as 2007, Bondi continued to tell its employees that it was entering crunch time, and so mandatory overtime and weekend work days would be in effect until the release of the game. This led to massive amounts of overtime, but the wording of the contracts with salaried employees was such that it was not obligated to pay overtime bonuses until three months after completion of the project. With a seven-year development and massive attrition, that led to a huge amount of unpaid overtime. “No overtime was officially paid in the three years and three months that I worked at Team Bondi,” one former artist said. As the project went on, and after several target dates came and went, Rockstar began to take a more active role in the development. The next step for Team Bondi is to release a PC version later this year. After that it will begin work on a new game — but it will have to do so without Rockstar. Since its release in May of this year, L.A. Noire has sold 4 million copies and received general acclaim.